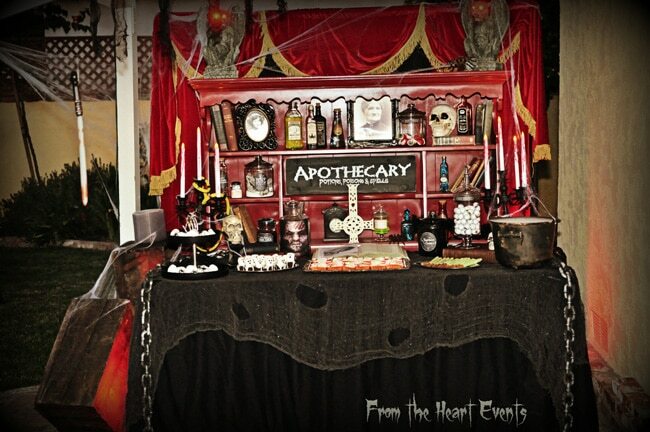 If you’re lucky enough to have a birthday in October you can throw a SPOOK-TACULAR birthday bash like this Spooky Halloween Themed 30th Birthday Party designed by From the Heart Events! 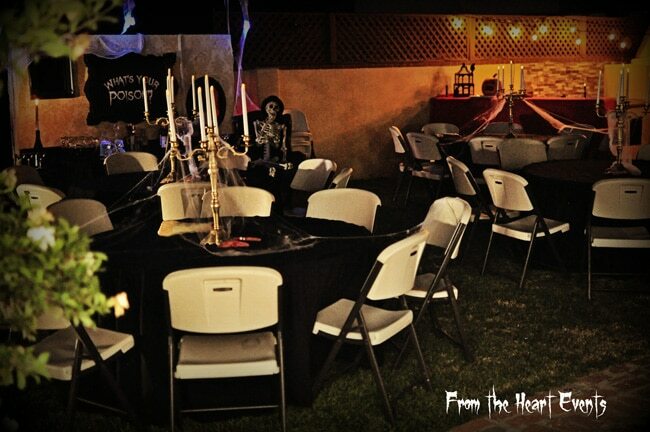 This fantastic Halloween party was held on the birthday boy’s favorite day of the year! 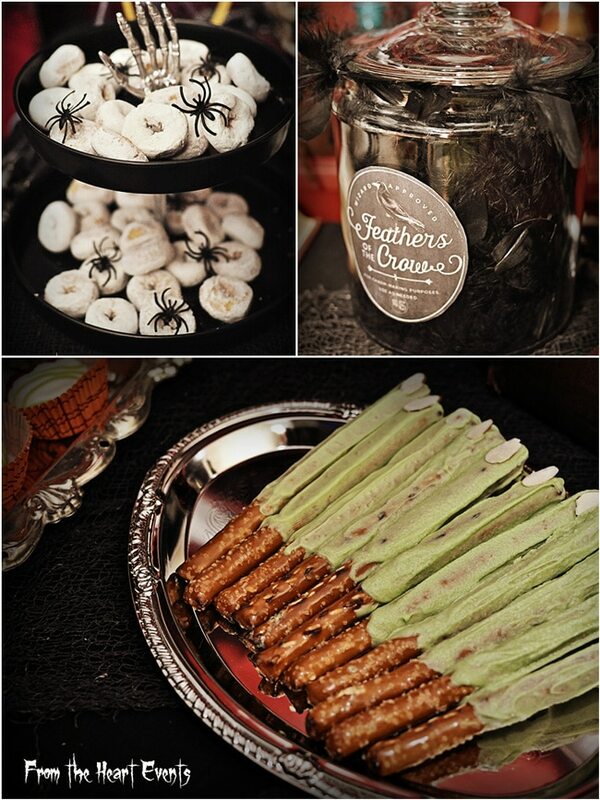 Who doesn’t love Halloween?! 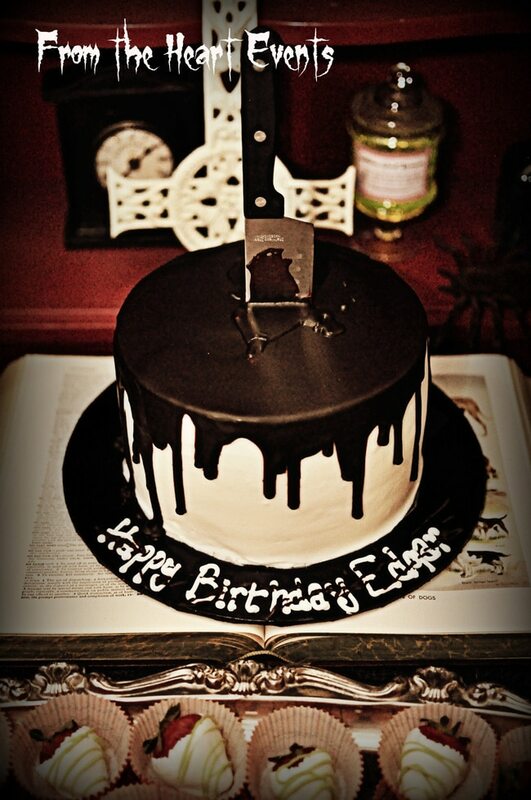 What a fun party to decorate for! 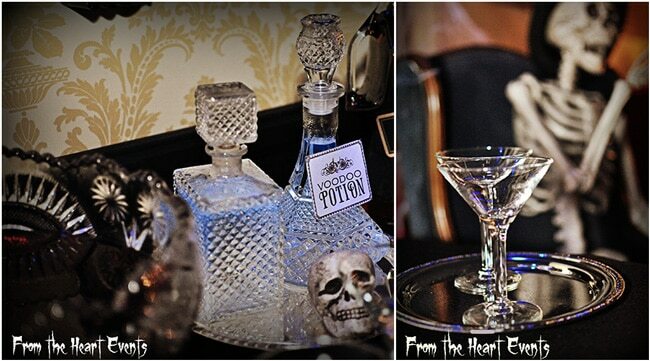 When From the Heart Events was tasked with styling a scary 30th birthday Halloween-themed event, they knew it was going to be something spectacular! 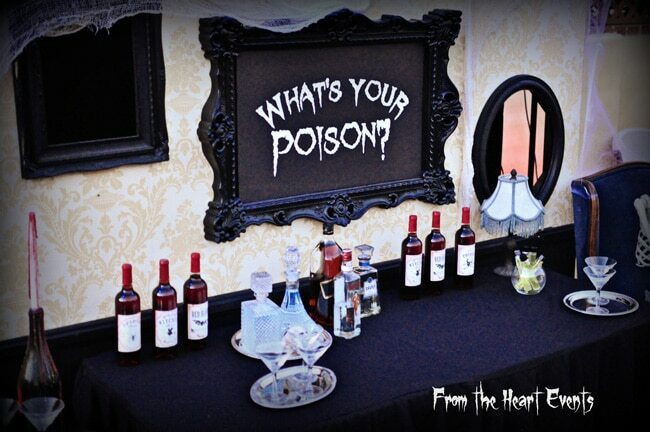 Everyone had a blast “intoxicating” themselves at the Poison table where all of the fun, alcoholic drinks were displayed. 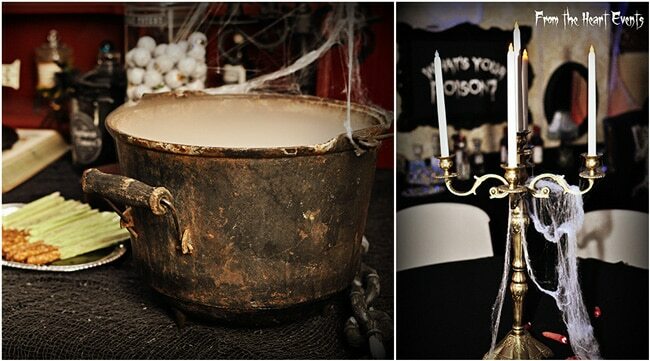 There was even dry ice in the punch bowl to give it an eery look! 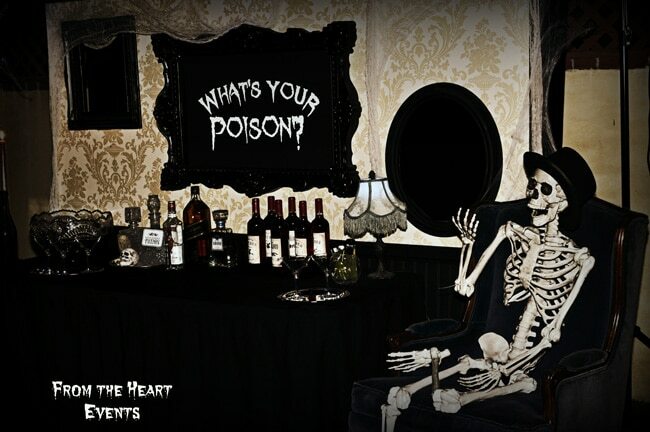 A skeleton sat in the vintage arm chair and was the guest bartender for the evening! He was ready to have a fun time with everyone! The cake table was so creative! 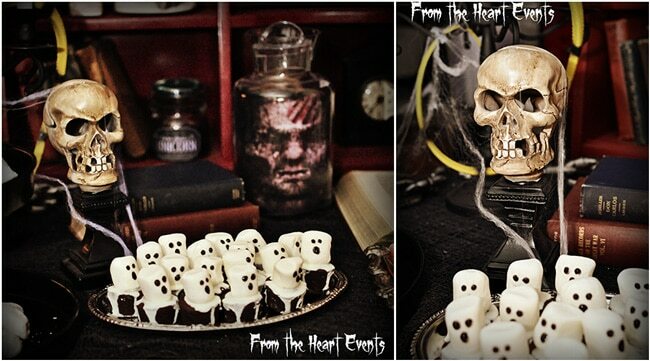 From the Heart Events used some well placed props, mixed in with old books and other spooky decor items. 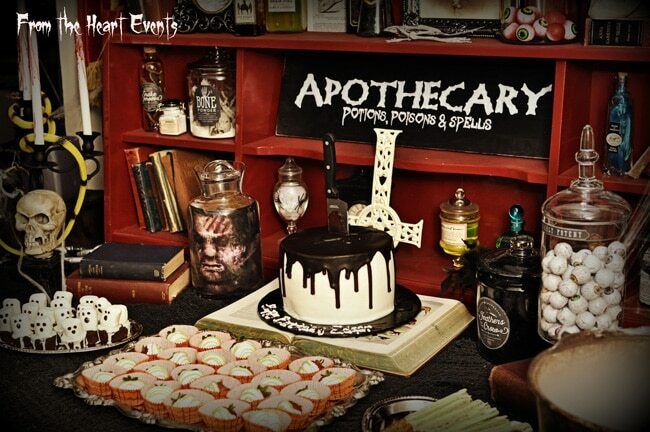 More yummy desserts were created, but with a hint of fear involved! So fun! 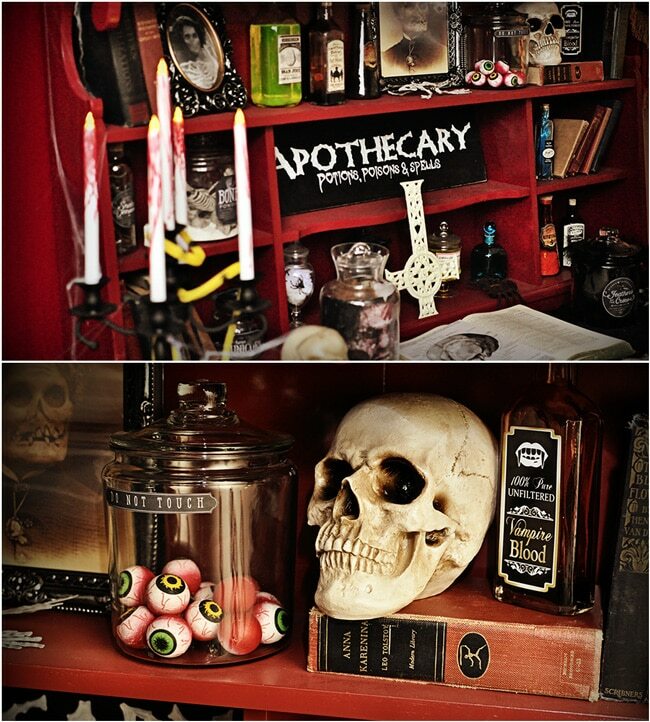 Apothecary jars were placed throughout the party with vintage labels describing their creepy contents! 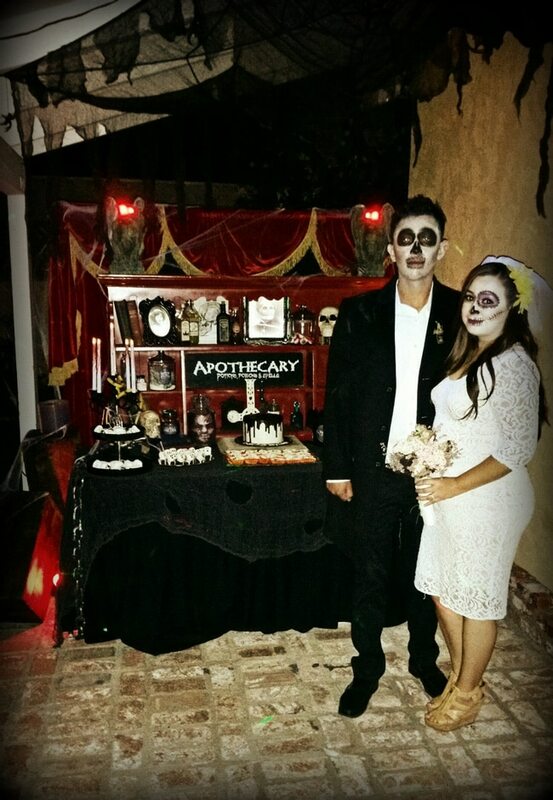 And how about the birthday boy and his sweet bride, dressed up as the undead bride and groom?! 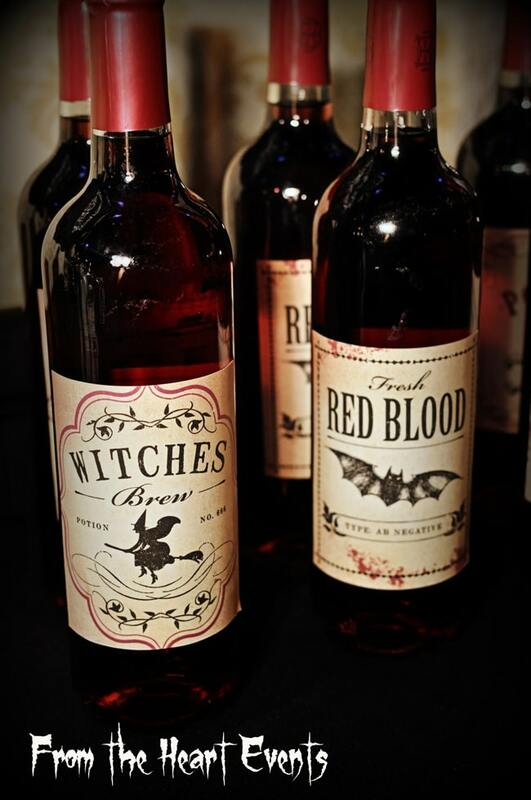 This Spooky Halloween Themed 30th Birthday Party was definitely one of those events that guests will remember for a long time!